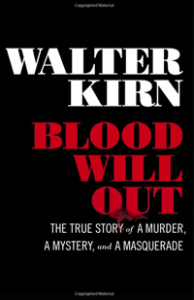 Author and journalist Walter Kirn joins the show to discuss his latest book, Blood Will Out: The True Story of a Murder, a Mystery, and a Masquerade (Liveright Press), which chronicles his relationship with con artist/sociopath “Clark Rockefeller”. 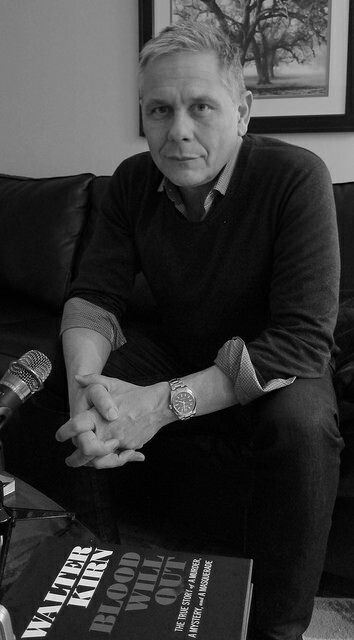 We talk about how Clark hacked the social software, how attending Princeton and Oxford prepared Walt to be fooled by Clark’s lies, why he thinks Clark was actually a progenitor of the social media age, whether writing his best book was worth losing his faith in humanity, what it felt like to be the Nick Carraway to Rockefeller’s Gatsby, and more! Give it a listen! We also talk about the three things that are most often smuggled into California prisons, what (if anything) can be done to pre-empt sociopaths, the experience of getting trolled by a convicted murderer, the advice he gleaned from Joan Didion before starting up his Great American Novel, what he thinks of New York under DeBlasio, what brought him to Montana and what keeps him there, and where the name “Virtual Memories” comes from! Walter Kirn is the author of eight books and an e-book. His most recent is Blood Will Out: The True Story of a Murder, a Mystery, and a Masquerade , a memoir of his friendship with the con artist and murderer, Clark Rockefeller. His other books include Up in the Air , Thumbsucker (both of which have been made in to feature films), Mission to America , My Mother’s Bible (e-book), The Unbinding , She Needed Me , My Hard Bargain , and Lost in the Meritocracy . His work has appeared in The New Yorker, The New York Times Magazine, The New York Times Book Review, The New Republic, GQ, New York, and Esquire, among other publications. Credits: This episode’s music is The Secret Silken World by David Baerwald. The conversation was recorded at Mr. Kirn’s apartment on a Zoom H2n digital recorder, because the XLR cables I bought from Monoprice turned out to be crap. I recorded the intro and outro on a Blue Yeti USB Microphone . Processing was done in Audacity and Logic Pro. Photos of Mr. Kirn by me.